Rory and Sergio shake hands after the tournament. Well, that was interesting, wasn’t it? Phil Mickelson actually looked like himself on the final day, Rory and Sergio have another Sunday head to head and Tiger, well, you’ll see what happened with Tiger. 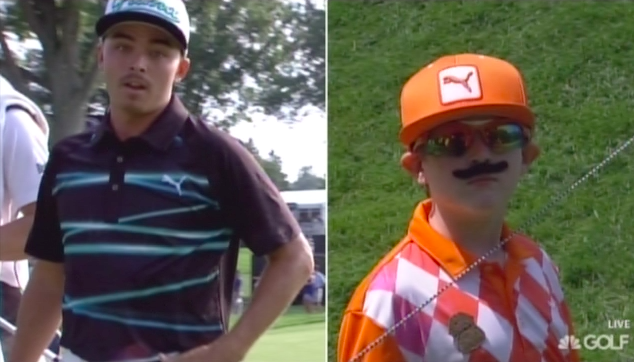 As usual, the best photos, GIFs and videos of the week are posted below. Ted Scott with the aggressive point right for a Bubba ball. Way to fix that divot, Rory. Just a ridiculous shot from Charl Schwartzel. 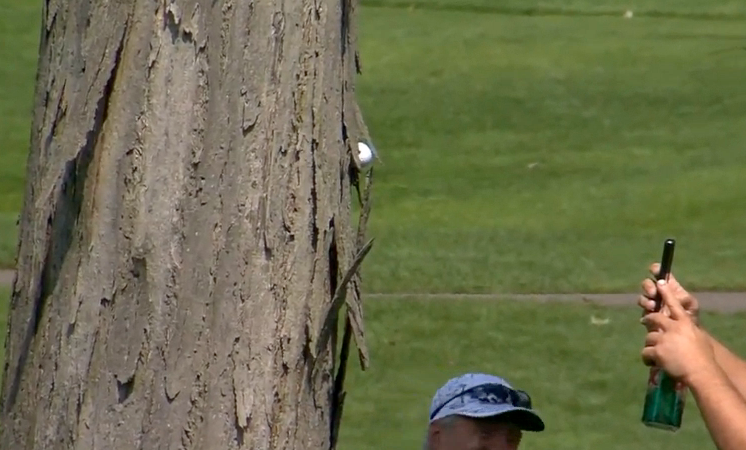 Kevin Streelman’s ball got stuck in a tree. Not sure I’ve ever seen someone walk after the ball this quickly. #TourSauce begins with Tiger practicing sans club. Nice club twirl on the handoff, Tiger. Martin Kaymer’s caddie sneezes before shaking Tiger’s hand. Don’t worry guys, this fan is on it. You can see him running from the overhead! Sergio is not a fan of the guy who yelled “mashed potatoes” in his backswing. Bubba thinks this should have gone a little right. Marc Leishman vs. a squirrel. Longer GIF of the above Vine, sped up. Lee Westwood’s not a baseball player. Leaves one 50 yards short on 5. Last swing of the day with the driver on 9. Limps off of the course. He did throw a paper airplane at Bubba earlier in the day though.